Same day shipping available on this item. 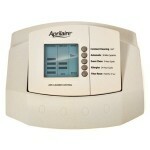 Daily cut-off is at 1pm PST Mon-Fri.
Aprilaire Humidifier, Whole House Steam w/Modulating Output & Fan Pack - 1.4 Gallon/Hr. 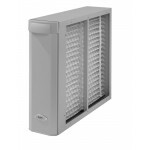 Aprilaire Whole House Air Purifier, Easy-Install w/MERV 11 Filter - 16 x 25"
Aprilaire Whole House Air Purifier, Compact Air Cleaner w/MERV 11 Filter - 16 x 25"
Aprilaire Whole House Air Purifier, w/MERV 11 Filter - 20 x 25"
Aprilaire Whole House Air Purifier w/MERV 11 Filter - 16" X 20"
How to select whole house air purifier? Oxygen is the most essential element that sustains life on this planet, which is why having clean air is, perhaps, the most important aspect of each building’s safety and comfort. Just think about it for a second, how can you do your everyday job or perform routine tasks around the house if you can’t properly breathe? Installing an air purifier in a building will ensure that you have the perfect air environment in your home, office or other area where you spend your time. However, countless options and specifications of such devices on today’s market make the task of selecting a perfect device for your home sound like an impossible mission. 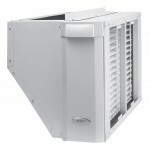 This article will tell you everything you need to know when looking for a whole house air purifier. 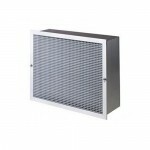 Hepa Air Filtration. The most effective type when it comes to removing dust, mites, mold spores and other allergens from the air. Germicidal UV Lamp. 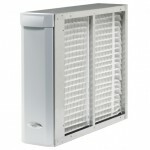 Such purifiers destroy viruses, fungi and bacteria that may be found in the air, thus preventing unnecessary diseases. Air Ionizer. This technology helps dispose of chemical fumes and cigarette smoke along with filtering dust particles of 0.01 microns. Carbon Air Filter. 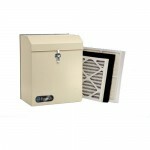 Carbon Air Purifiers are the best devices to capture smokes, gases, odors and fumes in addition to liquid contaminates. What is my main concern for the air in my house? Do I need to get rid of cigarette smoke; allergens and bacteria that are causing asthma or do I simply want a cleaner and fresher air for the entire house? When you know the answer to these questions, selecting a perfect type of air-purifier won’t be a problem. Moreover, if you want for your device to combine all of the features from the above, all-in-one air purifier is your choice. Next step in selecting an air purifier for the whole house is specifying the amount of money you are ready to spend. When looking at prices, keep in mind such factors as warranty, general level of performance along with mounting process and additional accessories that may be needed during installation. Oftentimes, the cheapest air purifier requires reparation or replacement and results in more money spent in the long run. Also, saving money on air purifiers equals saving money on your own health, which is something no one in its right mind would do. Westside Wholesale offers an ideal solution for those who suffer from different illnesses such as flu, cold and other. Whole house air purifier systems are created to kill all mold, bacteria and viruses that can cause these diseases. 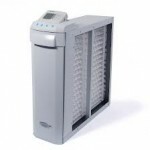 Air purifiers are often used in hospitals and clinics to prevent proliferation of bacteria, so they are able to cope with impurities in the house as well. Technology. Whole house models are installed into the home’s central heating and cooling system. The air goes through the purifier which then releases it free of bacterial particles into the room. There can be different innovative technologies of different manufacturers, but the key point is the same. All purifiers but UV models use filters. 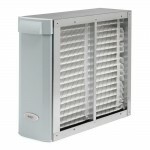 HEPA filters are one of the most well-known. There are also pre-filters, carbon filters and other. The whole system should be checked once a year. Benefits. 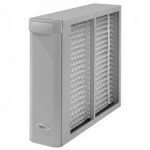 Whole house air purifiers require no additional space in any room as they are installed into the ducts. They are invisible helpers that provide pure air to breathe for the entire house. Unlike portable appliances whole house systems are enough for the whole house even if it is really big. It needs little care – the maintenance is only once a year. Such appliances are soundless and will not bother anyone at night. The main benefit is elimination of all the bacteria, mold and viruses. This will have a great positive influence on health, especially for people who suffer from allergies and breathing problems. 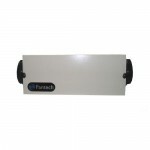 Air purifier also helps to save money on energy costs. Dust and dirt on heating and cooling system reduce the efficiency up to 25%. Purifier eliminates these substances, the whole systems becomes more efficient and so uses less power to satisfy the needs. 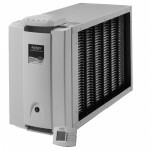 Westside Wholesale has a variety of whole house air purifiers. 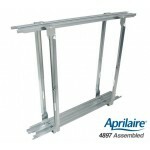 The features differ from model to model so you can choose the one to fit the certain duct and to satisfy any need. 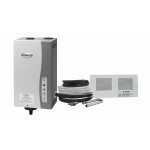 All purifier systems are sold at wholesale prices. Some models can be bought at a discount price right now.